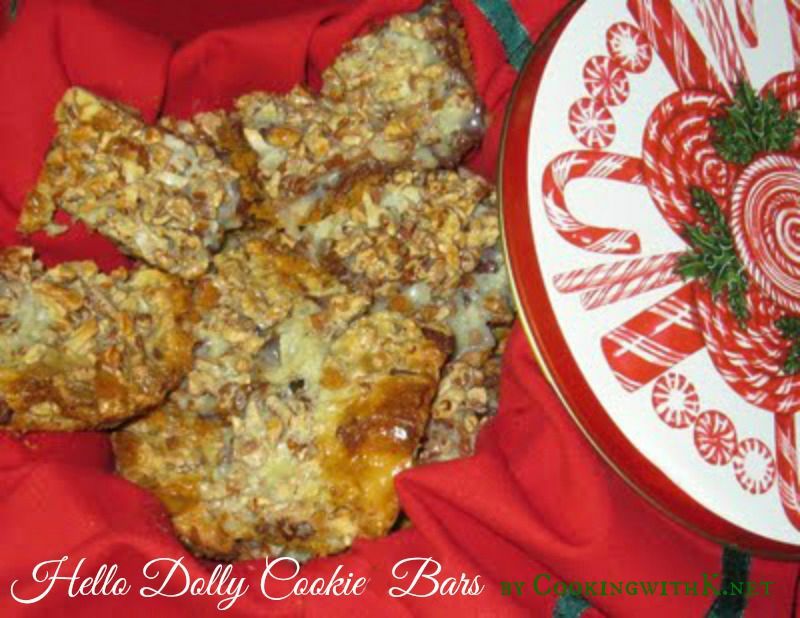 Hello Dolly Cookie Bars are one of my all time favorites at Christmas. I remember my Mother would make these at Christmas time just before I got married in 1972. She gave me a cookbook "What's Cookin?" at Pine Tree School" compiled by Pine Tree Classroom Teachers Association. This cookbook had the recipe in it along with other recipes that you would call somewhat of classics today, which I consider Hello Dolly Cookies to be. Though the original recipe was called Hello Dolly Cookies, there was another name sometimes used which was called “Magic Cookie Bar.“ The name was different, but the recipe was the same. What makes this cookie an original is that the original recipe calls for graham cracker crumbs, semi-sweet chocolate, coconut, pecans and sweetened condensed milk. Recipes that have followed throughout the years have changed with adding walnuts, white chocolates, butterscotch chips, etc. I have kept the tradition going on in my family today. Sometime around a week before Christmas, I will begin to bake cookies for Christmas. You could say I have made "tons" of these cookies since 1972. It is not at all unusual for me to bake several batches of Hello Dolly Cookies throughout the holidays. In fact, there is one member of the family who considers Hello Dolly Cookies to be his favorite cookie in the whole world so they are first on my list to make for the holidays. Preheat oven to 350 degrees F or 325 degrees F if you're using a glass baking dish. Melt butter in a small bowl in the microwave on high for 30 seconds. Combine graham crackers with the melted butter and place in an 9" x 12" baking dish, patting the crumb mixture down evenly with your hands. Layer the chocolate chips, coconut, and nuts on top of the graham cracker mix. 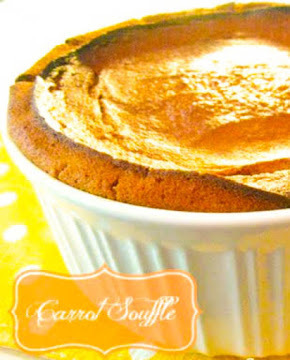 Pour the sweetened condensed milk evenly over the entire mixture. Bake for 25-30 minutes, or until the top is light brown. 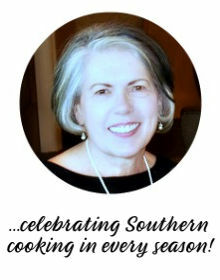 Sittin' here looking at my "What's Cookin'" Cookbook from Pine Tree Schools! I keep it within arm's reach, right beside my computer! I remember, it cost $8.00 at the time, which was VERY expensive! I had to share with Kathy - she paid half, I paid half, so neither of us would be spending too much money, ha! Just in the past few years I talked her into letting me "safeguard" it, so she wouldn't accidentally misplace it! I haven't had one of these in AGES, so rich and so good. Glad to see the recipe again. It's one that should be remembered and enjoyed. I made many batches of these "magic cookie bars," as we called them here in the northeast during past holiday seasons. It's nice to see an old favorite. These sound different... and delicious, too. 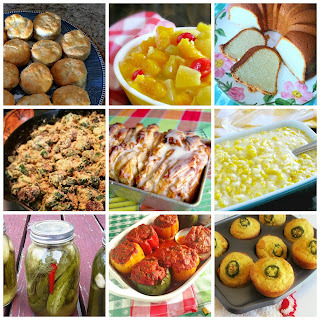 Thanks for sharing on The Christmas Smorgasbord! Have a great weekend. I've made these since I was 8 years old with my Aunty. It was my first recipe and first intro to baking. I making them for every party / event and as always it's a hit with everyone. I switched it up a bit using different chocolates and caramel condensed milk. Childhood favorite!